It has been three years since I needed government benefits, but it’s difficult to shake loose the stigma. I’m probably what Centrelink constitutes as a success story, as I’m now employed, but as someone who has lived it, I know that life below the poverty line perpetuates some serious social barriers that are difficult to climb over. In my day to day, I work with the poorest in Australia in their times of crisis, providing financial assistance and helping them navigate the burden of poverty. The system needs to change. So much so, that we even have an uber-liberal in John Howard pushing for an increase, which would represent the first increase since the 1960s. As of July 2017, the poverty line was measured at $518 per week, which leaves the standard Newstart recipient $355 below it each fortnight. It’s a staggering hole to climb out of. It’s barely enough to afford the non-negotiables. The often uttered mantra is to give away the luxuries, but no-one possesses that. Life under the Centrelink’s line looked like skipping my university classes on to get free vegetables and bread at the local community centre; it looked like getting vouchers and loans or anything to pay for my bills, as my utility funds went to the fines I had accused for skipping the train to attend job interviews well beyond my local area. We did it, because we had to do it. We did it, because we were told to. Poverty becomes a cycle, and it was only when I was free from it (and worked with it) that I did see how large its rotation is. All too often I’ve seen my clients spiral uncontrollably into debt because their rego was due, because their kid had a growth spurt, or the costs of sending that child to school suddenly shot up. This is how we exercise democracy and put forth pressure for fairer policies for working class Australia as well as the disabled and mentally unwell. From within the system, I started to see how the department of social services looked to reduce the provision of services that allows one to finish studies. I still see it now. The at-risk charged penalties for not attending job seeker appointments, drifting further from financial (and mental) stability as a result. We’ve all heard the logical suggestion to “get a job”, right? Over a dinner table debate, in a viewer response read out on 60 Minutes or the comment section on Facebook. Seems pretty straightforward, until you realise that this country is in the midst of a job deficiency crisis, a country that offers one job opening for every 17 job seekers. This lack of jobs breeds underemployment. I was fortunate to gain employment in community service, but even in the luckiest of countries, these services possess limited resources to address the most at risk, the homeless. Even though the public loudly chant “What about our own backyard! ?” when discussion of asylum seekers or foreign aid arises, we fail miserably at looking after our own. If you happen to receive any sort of benefit, your ability to compete in the rental market is severely hampered. You get what you can get, which is often too far from amenities, schools, transport. Often, you’re priced out, your applications are rejected; then what? So, more than needing to “fix” the issue of homelessness, we need to prevent it. We need compassion for families who end up living in their cars, in caravan parks or on friends’ couches. This is crucial in how we address our government that currently holds little regard for the poor. This is how we exercise democracy and put forth pressure for fairer policies for working class Australia as well as the disabled and mentally unwell. The poverty line was measured at $518 per week, which leaves the standard Newstart recipient $355 below it each fortnight. It’s a staggering hole to climb out of. It’s barely enough to afford the non-negotiables. The most concerning theme I observe working with Australians surviving under the poverty line is those who are poor due to sickness. Receiving a disability pension requires a lot of information, and you’re often rejected on your first application. It sounds grim, but the cost of your treatment, medication or therapy is put to the side while your application is prodded. 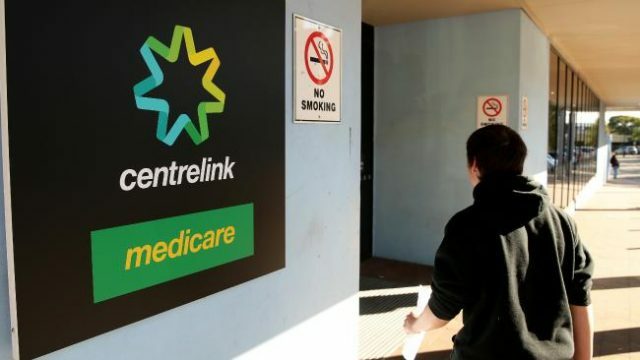 It is a huge ask of an unwell Australian to live below the poverty line, or put their health aside to manage extra external conditions that have been set. I am not an expert, and I don’t know how to solve all these problems, but I can tell you what I’ve seen: the experience of giving people a dignifying income that allows for all necessities to be paid and planned for, all of which would make a difference to the majority of welfare recipients who are living from week to week. Welfare is a security net, and something a developed population should be proud to contribute to. One never knows when someone they love or even themselves may need a soft place to land. All recipients of Centrelink deserve dignity, and nobody in this country should be forced below the poverty line. The welfare of our country depends on it.